How to unblock teams from continental qualification? I'm trying to edit claassen's database by just making it so that whoever wins the US Cup qualifies for the champions league instead of just the highest finishing MLS team, but I can't find anything anywhere that has anything to do with this in the NACL or US Cup sections. Anyone have any ideas? Man Juventus got absolutely robbed there. You're looking good for Champions League qualification at the least though, what a great first season! Not at all a huge deal or anything, just figured that since we can already do this with club sides, it would be cool if you could schedule little tournaments with senior national and youth sides. If anyone else has any thoughts on this, positive or negative feel free to pile on! Is using Claassen's league pack okay or do you want us to use only the default database? The Australia issue isn't universal, I installed all of this last night from the latest versions and had no issues. Just wanted to say thanks for making all of these, I can't imagine how much time this took! Especially cool that you included all of the international competitions that normally aren't included. The ability to quickly and easily edit the list of countries which are eligible to host tournaments, or set the parameters which decide if a country is eligible ourselves. I've got China, England, Greece, Indonesia, Italy, Norway, Portugal, Sweden and the USA loaded all the way to the bottom. My computer can handle more, but I enjoy only waiting around 10 minutes to simulate a week as opposed to the 20 it took when I had all of Europe loaded for my first manager. West Brom have one Champions League in 2039 and one league title in 2041 under their belt since the save began. They also won the Club World Cup the one time they had a shot and a Europa League several years later. Since then they've been relegated and fought back to mediocrity in the top flight, but they haven't mounted a strong title challenge in decades. Their most recent top 5 finish was in 2045, before their relegation in 2051. The year is 2076. A great manager has already come and gone, shaping the footballing world in his wake leaving some surprising nations flourishing, and some others in shambles. Nordic football in particular is in a crisis. The retired legend took Sweden to the top, and as a result all the talent was drained from the Norwegian and Finnish leagues leaving the once stable (if mediocre) leagues in ruins. Norway in particular is in bad shape. The Tippeligaen sits comfortably rated as the 167th best league on the continent, and that's a recovery. The clubs with the highest reputations are all in the Second Division after facing years of financial turmoil that eventually broke them down. Unfamiliar faces rule the league for a year or two at a time before falling into the despair of relegation immediately after. To sum it up: it isn't pretty. This is the world Daniel Birbas, a wide-eyed kid from Atvidaberg Sweden was born into. He knows he isn't good enough to coach in the Allsvenskan, not even after it has crashed back down to 20th in the coefficient table. Instead, he looks to Norway, looking for anyone ready to take a chance on a 21 year old kid with heart. An Overview of the World North America Liga MX still reigns supreme, having won the vast majority of CONCACAF Champions League titles with America, Monterry and Pumas UNAM. MLS clubs, in particular Seattle, LA and Toronto occasionally put up a fight and win one with the even rarer finals appearance by a Central American club filling out the rest. On the international side, Canada has grown into a regional power, winning more than their fair share of Gold Cups. Costa Rica shows flashes of brilliance and will occasionally mount a challenge in that competition, with one successful campaign to date, but the USA and Mexico are the dominant forces on this side of things as well. In the Caribbean Championship some new faces have shown up at the top, showing the first signs of long-term change in the region. Curacao and Barbados are the frequent favorites in this competition, displacing the Jamaica and Trinidad and Tobago duopoly from the early 2000's. While neither have yet been able to qualify for a World Cup, it will only be a matter of time before one of these teams can survive the Hex and begin to play on the world stage. South America Almost nothing has changes. Argentina and Brazil dominate. Ecuador and Colombia both of surprise Copa America wins to their name and Bolivia has made a shock appearance in the final before getting absolutely annihilated in the final by Argentina, but for the most part South America has been pretty stable. All nations barring Bolivia have made at least one World Cup appearance and Bolivia doesn't appear to be anywhere near a breakthrough. On the club side, Brazillian and Argentinian clubs have dominated the Copa Libertadores. Cruzeiro has won plenty as have San Lorenzo, Boca, Palmeiras, Corinthians and Independiente. Mexico has 3 winners spread out fairly evenly with Atlas, Monterrey and Leon each winning one about 20 years apart from any other. Europe Oh boy. Sheffield United dominates England. PSG, Man U, Liverpool and Everton have all been relegated recently, Stoke is out of the league entirely, Braga has won a Portuguese title, AIK nearly won several continental titles, Wolverhampton has won the Europa League 3 times, Nottingham Forest are reigning Champions League winners and Spain and Germany remain 100% unchanged. Hamilton and Celtic trade titles, Austria is the most prominent one team league (except maybe England now that Sheffield have won 9 titles in a row). On the international side, England have won several Euros, Portugal finally break through in 2040, Croatia went back to back in the 2030's and the Czech Republic have become the nearly men of Europe making the semi finals 3 times and failing to win a single title. Asia By far the continent which has changed the most. India is a World Cup qualifier, Hong Kong was one win away from doing the same. Jordan, Indonesia, Qatar, China and the UAE also hold that title to their name. Saudi Arabia failed to make the Third Round of World Cup Qualifying in recent years along with Iraq, Uzbekistan and Syria. It's a free for all on the international side and everyone is throwing their hat in the ring. The Asian Nations Cup is, in contrast, relatively boring. Iran, Saudi Arabia, South Korea and Japan have traded it amongst themselves for 70 years now. On the club side of things, Iran, Saudi Arabia, South Korea and Australia dominate. The last time a winner came from a nation other than these 4 was Gunagzhou's win for China in 2013. Africa The Cup of Nations and the Championship of Nations rotate among the same, predictable cast of characters. Nigeria, Cameroon, Morocco, Mali, Cote d'Ivoire, Egypt, South Africa, Senegal, Ghana and Tunisia win pretty much everything and are the only nations to have qualified for a World Cup from Africa in the time of the save. Congo has won one shock championship in the AFCON but have been unable to repeat this success. One of the longest active streaks in the save is in the African Champions League, which has been won by an Egyptian club since 2033. Club Africain from Tunisia has come close to ending this streak multiple times, but as of yet they have been unable to do it. Oceania New Zealand has won everything. Literally. They have not lost a game to an OFC rival since 2016. The same could be said for the O-League until recently when Ba from Fiji pulled off the miracle of the millennium and upset Team Wellington in the final in 2068. Global The World Cup has been horrendously boring. Not a single surprising winner in the 60 or so years of the save. France, Italy, Spain, England, Germany, Argentina, Belgium and the Netherlands are the only winners. Please, someone interesting win the thing. I'll happily post up pictures or an overview of any other competition there's interest in seeing, but for now, back to Daniel! 3 November 2076: When Bodo/Glimt called back yesterday and told me that they weren't interested in hiring a 20 year old, I figured that was it. But today that called back and apparently 21 makes all the difference! I got the job! Of course I'm nervous about taking over a club at this age, but I can't wait to start my journey. I'd love to get enough experience to take over the hometown club, club I dare not dream bigger. Not yet. 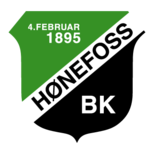 Daniel Birbas Team History and Overview FK Bodo/Glimt Once one of Norway's stronger clubs, Bodo/Glimt have since fallen on harder times along with everyone else. They sit in deep financial trouble, with no transfer budget and a meager 110 thousand for wages. Their most recent finish was a disappointing ninth in the 2. Divisjon, Group 1. 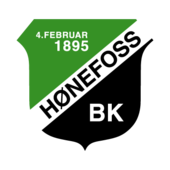 Their last impressive finish came back in 2003 when they were runners up in the Tippeligaen. The city of Bodo, in the northern reaches of Norway is the city they call home, and they have no local competition for fans which is nice. The squad as it stands is less than impressive and I'll go over them after a few off season moves. Short Term Goals 1. To get Bodo/Glimt promoted back to the Tippeligaen ASAP. The Norwegian Leagues are a free for all, so this shouldn't take too much effort. 2. To get Bodo/Glimt into Europe. This might actually come first. Seeing as the Second Division teams have won the Norwegian Cup fairly regularly as of late with a decent stroke of luck we could get back on our feet fairly fast. Long Term Goals 1. To get the Nordic leagues out of the chaos that they are currently in and at least back to being mediocre. 2. To bring Atvidabergs back to being the great club they were in the 1970s. 3. To wander around international management for awhile, doing whatever piques my interest. Expect a jaunt around Africa or Asia at some point at the very least. 4. To not be too unrealistic with the managerial jumps Daniel makes, both upwards and downwards. No getting bored in the Premier League and loping off to coach Estonia or the opposite. 5. To get better at doing career updates, I will need help with this one. You "can." You can't set specific host nations for specific years though and if you want to change which nations are eligible to host a major international, you have to rebuild the entire competition from the ground up. So, say you want to add a few more nations to the laughably small pool of 21 that can host the World Cup, you'll have to rebuild, not just the World Cup and its group structure, but every qualifying tournament as well. I'm not sure why advanced editing of international competitions isn't possible in an easier way, but it seems like either something to protect us from ourselves (which is bad programming, people will figure out how to do it safely), or they deliberately want to prevent people from touching these. I fixed both of these issues, but thanks for the reply. For anyone else who is experiencing similar issues, the first issue is simple, only 120 nations can be playable, the fact that the game never tells you this or prevents you from trying to start a save with more nations than that is.... interesting to say the least, but huge thanks to the Sangue Blue website for that piece of information. The second one was just an issue I needed to sort out using the Nvidia control panel. Every time I try to start a new game with add-ons it crashes and gives me a dump file. I thought I had narrowed it down to which add on was causing it through a painstaking amount of trial and error, but as soon as it went away once, it started crashing again. I have verified game cache, cleared preferences, cleared settings, nothing seems to work. Attached is the latest crash dump file. I tried to read it with WinDbg, but came up well short of enough knowledge to glean any useful information from it on my own. FM 2016 v16.3.2.830543 (2016.08.27 00.06.54).dmp EDIT: Not a major issue, but I also recently wiped my laptop clean and restarted from scratch. Nothing big changed with the exception that I went from having 5 star 3D graphics to having half a star and having to use the 2D view. I don't really mind the 2D view, so if there's no information on this I guess I'm okay with that. Not a priority for me. Brought my drivers up to date, Nvidia has everything optimized in the GeForce control panel too, it just won't work. Software/GPU rendering makes no difference.